Promoting caring and compassion among people and pets! 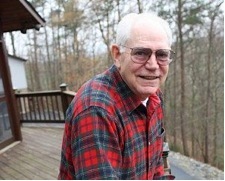 John Hayes was a veterinarian for over 40 years when he retired from his Ruckersville Veterinary Clinic in 2006; until then he cared for most of the cats, dogs, horses, cows, sheep, pigs and mules in Greene County, Virginia. He has always been a leader in educating and developing future veterinarians, taking under his wing any teenager or college student who asks for his guidance. Countless veterinarians can point to Dr. Hayes as the teacher, advisor, champion and role model who has been integral to their development as a professional; he has mentored many students at the Virginia-Maryland Regional College of Veterinary Medicine. But the salient point of John Hayes’ life is his unwavering commitment to his profession, his clients and their animals. The animal’s welfare was always Dr. Hayes’ primary focus. After “retirement”, he became the backbone of the Madison Greene Humane Society, and has since performed, on a pro-bono basis, over 1,000 spay & neuter surgeries a year for this small rural cat shelter. He contributes his time and expertise to exponentially reduce the population of unwanted and homeless dogs and cats ~ more than 6,000 animals to date. Dr. Hayes also continues to provide no-cost and low-cost medical care to a large number of animal welfare organizations, and to low-income pet-owners who otherwise would not be able to afford veterinary care, and is on call 24-hours a day/7 days a week for the shelter. He also conducts 2 public low-cost rabies clinics per year, not only to offer protection to animals and people, but also to raise much-needed funds for MGHS. In 2009 Dr. Hayes received the Distinguished Veterinarian of the Year Award from the Virginia Veterinary Medical Association, was presented with the prestigious A.M. Mills Award in 2010, and in 2013 received the Distinguished Alumni Award from the University of Georgia. But today John Hayes needs something from us, his community. The Madison Greene Humane Society that he so tirelessly serves is underfunded, understaffed, and in dire need of proper facilities – a real building from which to operate. MGHS provides for the health and well-being of rescued, abused, and abandoned animals from 2 counties, but can only house and find homes for cats. This does fill a huge gap, because the Greene County Animal Shelter provides shelter only for dogs; but MGHS hopes to continue to evolve to serve both dogs and cats. Any and all financial assistance is deeply appreciated.